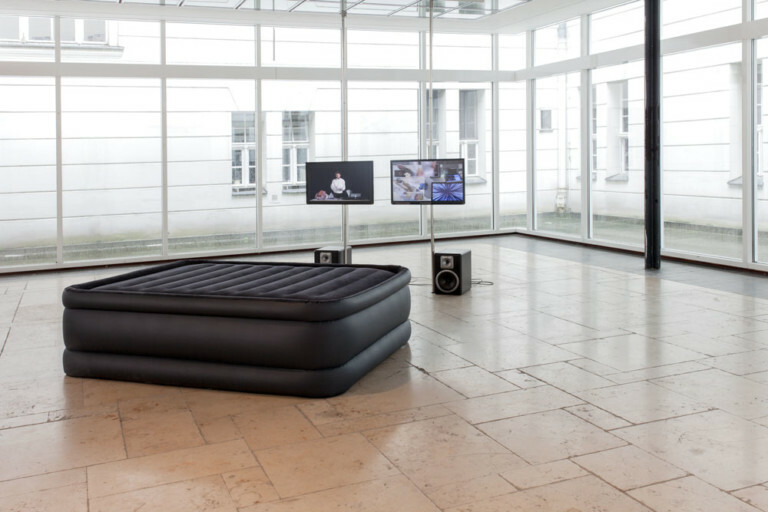 The lecture performance investigates the relationship between the physical and the digital. Central elements are objects which are constantly rearranged on a table to accompany the unfolding of a semi-biographical narrative. From the viewers' perspective, the arrangements of physical objects set on the table can only be seen in parts. In order to get a complete picture, the viewers depend on a mediated representation: A camera's birds-eye view overlooking the table is projected live on a screen behind the performer. On the narrative level, the difficulty of engaging with the digital world independently from one's own physical body is discussed. In a detective-style investigation, the physical infrastructure of the internet as a perpetually endangered "critical infrastructure" is increasingly intertwined with the dismantling of the self as well as its conception as a mass of data and as an algorithm. The two change places: The "disembodied" internet is turned into a protected fortress whereas the (human) body dissolves into pure information.